“What is happening in and around Aleppo now is what we had warned the Americans about beforehand — and they know it: that we will in the most active way support the Syrian army from the air not to allow the seizure of this territory by terrorists,” Lavrov said. Lavrov’s comments — which come one day after Russia’s deputy defence minister announced Sunday that there is still “much to be done to support the Syrian army” — have added to speculation that Russia is preparing to revamp its military operations in Syria three months after announcing it had begun to withdraw. Moscow intervened on behalf of embattled Syrian President Bashar al-Assad last September, turning the tide of the war in Assad’s favour with relentless airstrikes targeting anti-Assad rebels near Turkey’s border and Aleppo, which is now the epicentre of the war. Putin shocked the world when he announced in March that Russia would begin to withdraw “the main part” of its military presence in Syria four months after intervening. Jeff White, a defence fellow at The Washington Institute for Near East Policy, told Business Insider at the time that Putin had “left some important military tasks unfinished,” including the encirclement of Aleppo. Perhaps for that reason, Russia left many of its military resources in Syria intact in the event it would need to re-escalate. “The notion that Russia needs to ‘return’ to Syria is fallacious,” Mark Kramer, the program director for the Project on Cold War Studies at Harvard’s Davis Center for Russian and Eurasian Studies, told Business Insider on Monday. 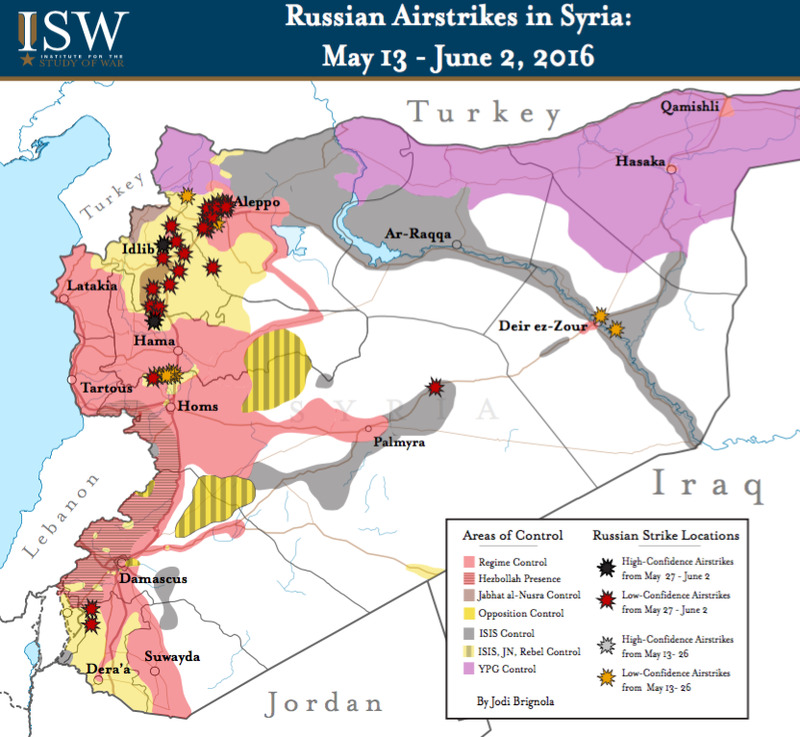 “Even after Putin announced that Russia was ending its military operation a few months ago, Russian planes continued to provide bombing support for Syrian forces, albeit much less frequently than before,” he added. Experts say it now appears Moscow is setting the stage for a large-scale offensive against Syria’s more mainstream opposition — considered terrorists by forces loyal to Assad — by ramping up its anti-terrorist rhetoric, reinforcing its ground role via military advisers and private contractors, and escalating the rate and breadth of airstrikes around Aleppo’s frontlines and in the Idlib province. the former chief of the general staff for the Russian armed forces said Russia “should act more forcefully” against Syria’s “terrorists,” who were given time to prepare for an offensive by the cessation of hostilities agreement brokered between the US and Russia in late February. In that way, however, Russia is evidently also preparing for a large-scale offensive against Syria’s mainstream rebels — many of whom have continued to co-exist with Nusra in the name of survival. Nusra is not protected by the terms of the ceasefire. “I have an impression, which is supported by yet unconfirmed facts, that these [moderate] groups intentionally occupy al-Nusra front positions in order to prevent al-Nusra from being attacked,” Lavrov told Sputnik News last month. Weeks later, Lavrov proposed that the US and Russia coordinate their airstrikes in Syria to target Nusra militants, offering to halt airstrikes long enough to allow the rebels to back away from Nusra positions. The US refused the proposal, angering Moscow, and the rebels did not back away despite urging from US Secretary of State John Kerry. Not that it matters, a US intelligence official told The Daily Beast last week: “The [Russian] proposal was a blatant attempt to deflect attention from the targeting of moderate opposition” forces in Syria. “Despite claims they are focusing on [al Qaeda in Syria] and [ISIS], Russia and Assad have primarily targeted the moderate opposition,” the official said. The continued bombardment of civilians in rebel-held areas and a lack of political progress in Geneva prompted Mohammad Alloush to resign from his position as the opposition’s chief negotiator last month. Moscow has evidently taken advantage of the stalled peace talks — and Assad’s inability to win the kind of decisive victory over the rebels that Russia had anticipated — to re-escalate its military presence.